Your new go to hat. The Grey & Charcoal is simple, beautiful, and made with one of the coolest materials in the world, hemp. It’s not everyday that something grey is so fantastic, but this cap is a rule breaker. It’s also helping to break a reliance on fabrics that harm the environment. The cap is 55% hemp – an environmental super fiber because it yields 250% more fiber per acre than cotton and requires no pesticides, a great thing for workers and local environments. Hemp is also extra durable, hypo-allergenic, breathable in warmer weather, and naturally UV resistant (if hair is not one of your strengths). The rest of the cap is organic cotton, making this hat’s fabric 100% organic. Awesome! We love simple but not boring, and we kept hearing that people want hats that go with lots of outfits. This hat brings these two ideas together. The light grey cap is beautifully complimented by the charcoal visor. 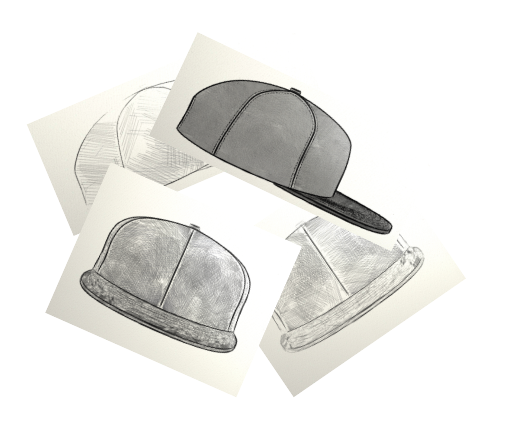 The cap has flecks of dark grey and white, giving it some visual texture while keeping it simple. The cap is made from a soft hemp, one of the most sustainable fabrics, and the visor is organic cotton. Hemp's natural UV protective qualities make this a great hat for sun but its clean design and quality materials also make it a great hat for any occasion.